Clean and tidy the house with Disney Princess™ Cinderella and her mouse friend, and discover an invitation to a ball at the palace! Find the Fairy Godmother waiting outside with a beautiful horse-drawn carriage to drive her there. But what will Cinderella wear? 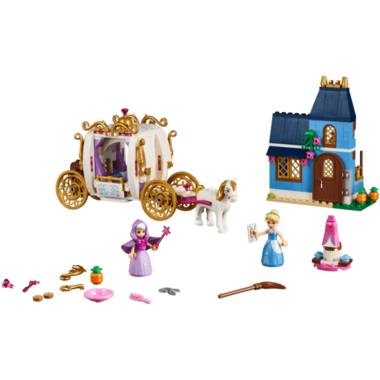 Help the Fairy Godmother transform her rags into a beautiful ball gown, then hop into the carriage and hurry to the palace! 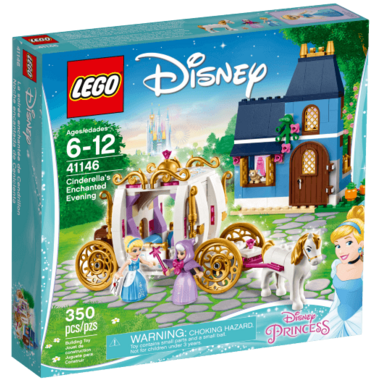 Cinderella's Carriage sits 2 mini-doll figures and features a removable roof for easy play inside, opening door and an opening chest. Cinderella's house features an opening door and windows, downstairs kitchen area with sink and table, and a sleeping area upstairs. 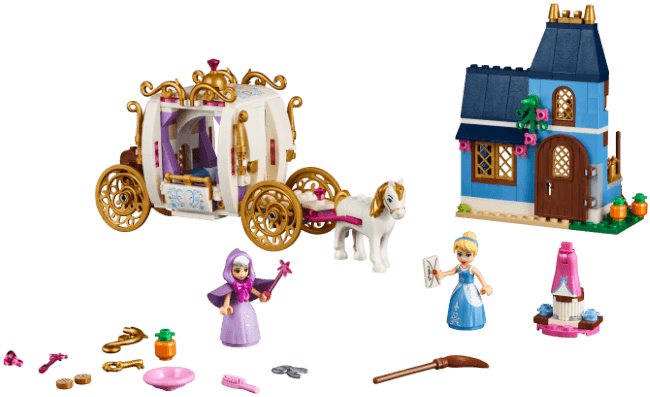 Help the Fairy Godmother transform Cinderella's rags to a ball gown and show her around her amazing horse-drawn carriage.